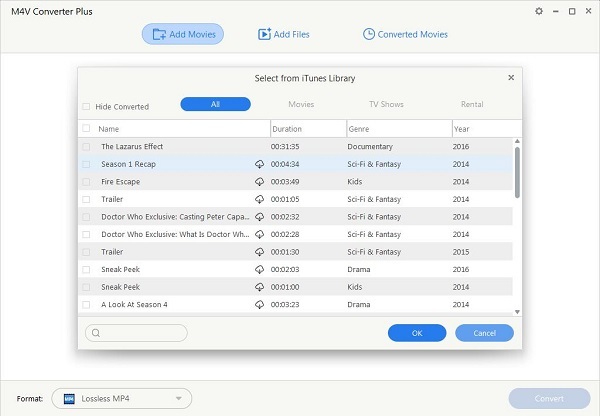 M4V Converter Plus is a powerful M4V to 3GP converter which is designed to convert DRM protected M4V videos you purchased or rent from iTunes Store to unprotected 3GP format. After the conversion, the DRM protection is removed, then you can play the converted movies freely on other portable devices. M4V Converter Plus can convert any M4V videos to 3GP, iTunes movie rentals and purchased M4V movies. M4V to 3GP converter can convert DRM protected M4V videos with high quality. It can convert the M4V files with few quality loss, and compared with other M4V converter software, its output quality is much more higher. When you choose an output format, video and audio output settings are defaults, but you can set them as you like. Step 1: Click "Add Movies" to import the M4V videos you want to convert. You can also drag the M4V video files to the file list directly. 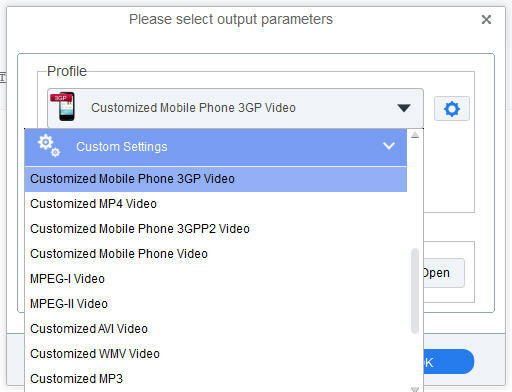 Step 2: Choose "Customized Mobile Phone 3GP Video" from profile panel. The user settings are default. You can click them to make some changes if you have special needs. Note: Click "Option" button to set the output folder. This is the address where you put your converted movies. If you do not want to change the output folder, just use the default path. Step 3: Click profile blue box to start the MP4 to 3PG conversion. It supports M4V to 3PG batch conversion. If you have many videos to convert, you can import all the videos to the list, the videos will be converted one by one. M4V files are iTunes Video Files. The M4V file format is a standard file format for videos for iPods developed by Apple. The M4V file format is based on the MPEG-4 AVC video compression, which is a global media standard with the aim to provide optimized video podcasts for the iPod.